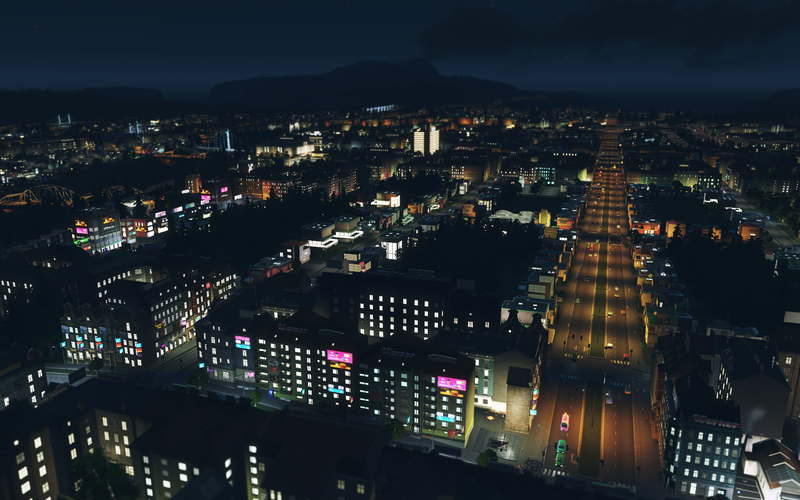 Cities: Skylines is definitely one of my games of the year - if not the best game I've played this year - and decidedly the leader in management sims. I don't see another game stealing away 90+ hours of my game time so easily. After Dark is the first combination free update and expansion for the game, adding features for those who do and don't choose to buy it. 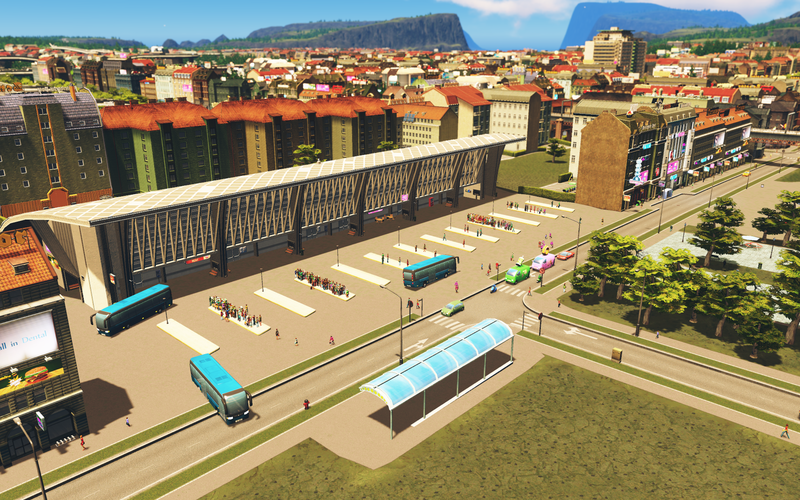 The new features are superb, from added types of public transport to specializations for your commercial districts. And, of course, the show-stealing daytime to night transitions. What's most pleasing about the systems is that they don't make the game any less approachable. It's a fun, fun game and even the little complaints I have about it did nothing to stop my enjoyment. 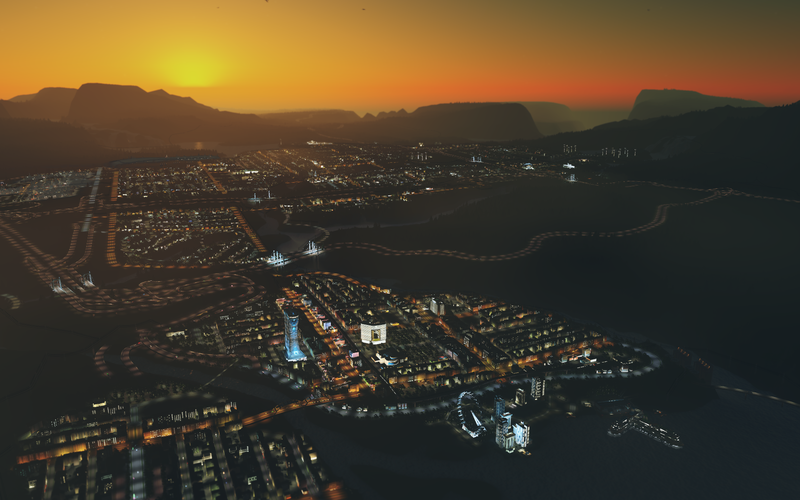 The learning curve is a tiny bit steep at first, but my partner who has zero experience with a city builder was able to make a passable city of nearly 70,000 in ten hours of play without encountering that many stumbling points. The mechanics are easily understood, the goals elegant and open ended in implementation, and the gameplay smooth. 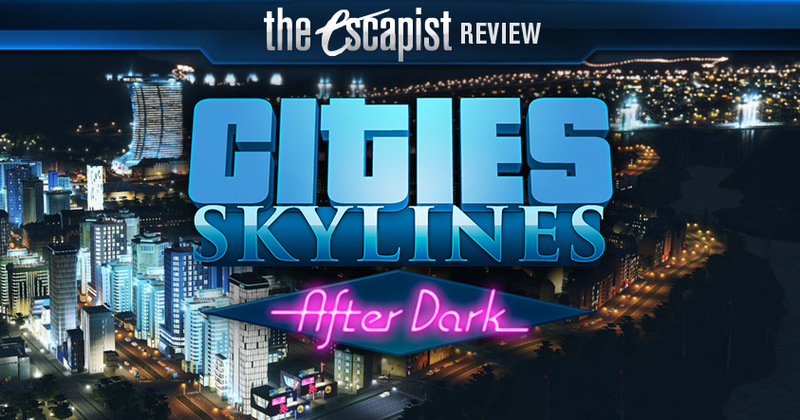 That's all still true - After Dark's new mechanics don't add complexity, they add depth, since they mostly utilize pre-existing systems within the game and on the whole are completely optional ways to develop your city. Like much of this game's deeper functionality, you can try it at your own pace. It's a superb design decision, and unlike many other games with tiered expansion structures like this one has, it doesn't add complexity. Let me say that again: Instead of make this game harder to play by adding systems, this expansion adds things to do that aren't any harder to learn. If you've played the game at all, you understand how to use everything new you get with After Dark. 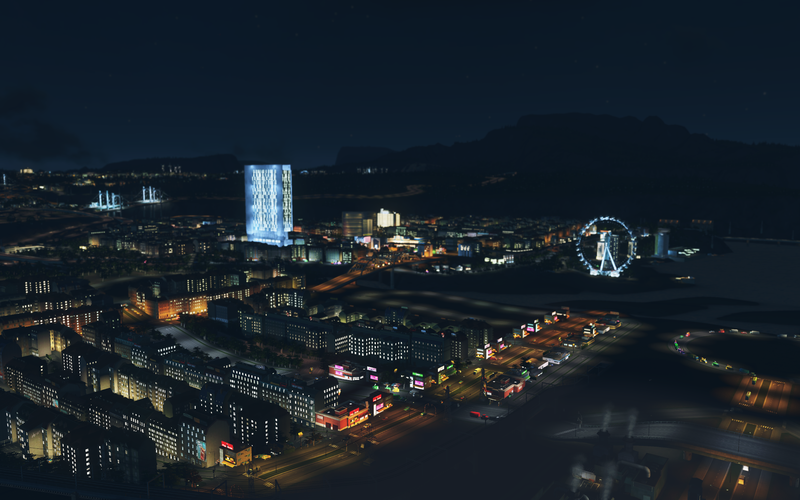 Take the day and night cycle. Citizens have different behaviors at various points of the day - they go to and from work, to the store, and to their homes. During the night, traffic is lessened, and emergency vehicles have an easier time getting from place to place. Citizens are more likely to stay at home, or travel specifically to the new leisure commercial buildings, but deliveries to stores, as well as to and from industrial locations, can continue. New day and night budget options allow you to, for example, cut garbage pickup during the day but double it at night, so your city can avoid the logjams that come from your trucks travelling tens of stinky landfills (build an incinerator, you disgusting environment-hater.) 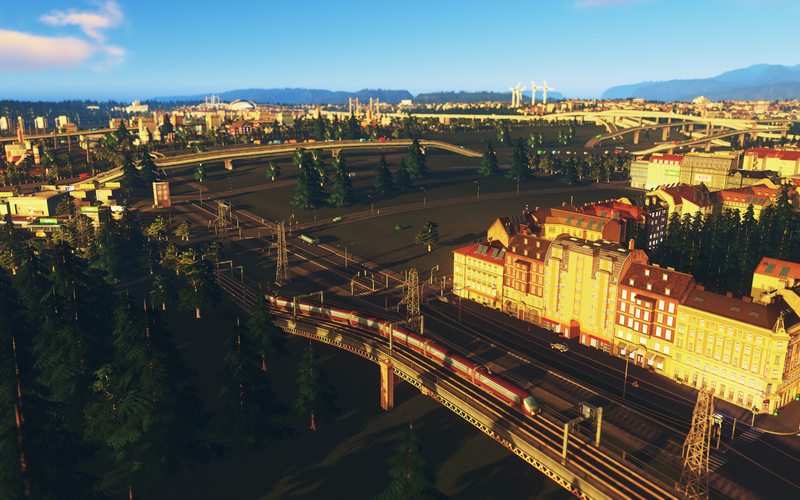 Likewise, you can set public transit lines to be active during day, night, or both - so your specialized lines that only go to offices or industry can turn off when nobody's going to work. Or, frankly, you can ignore all that and just enjoy the new visuals, music, and experience of a nighttime city. 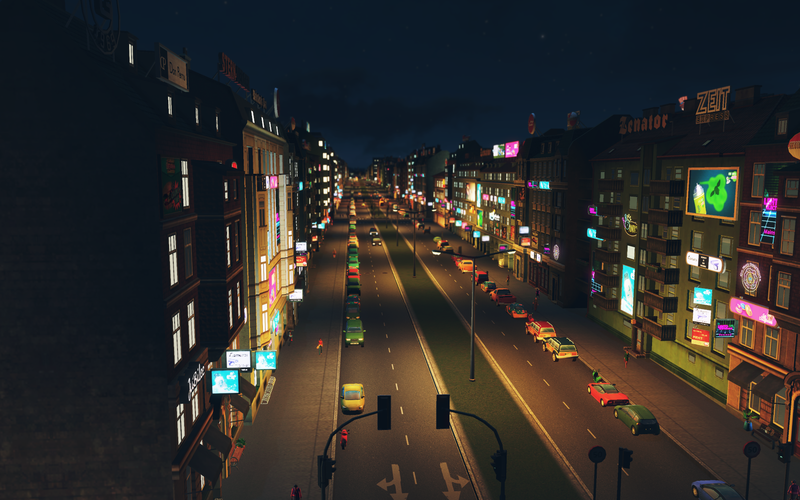 With the new evening comes the leisure specialization for commercial districts. It works just like specialist industry did in the base game - you paint out a district and assign it a type, then any commerical space in that district becomes the type you want. Just like specialist industry, these buildings are always at their greatest possible efficiency and only have one level of upgrade. 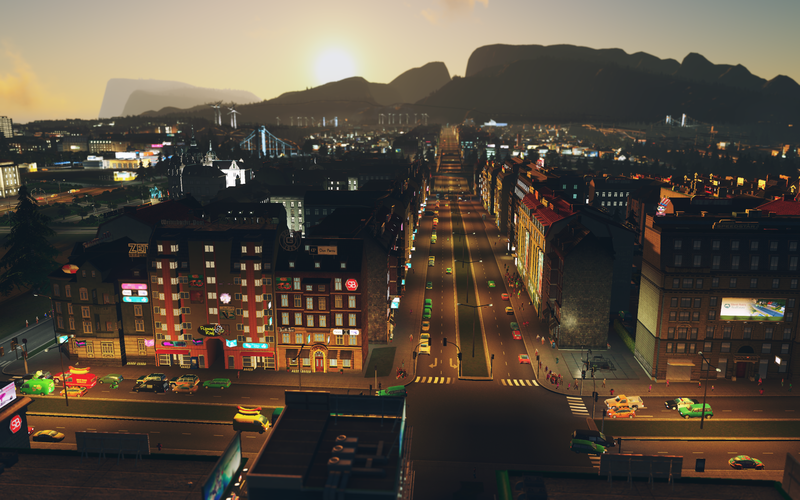 Leisure districts create a lot of noise and traffic at night, but are relatively quiet during the day - they're filled with things like bowling alleys, nightclubs, 24-hour fast food, and gyms. Leisure districts also attract an increased amount of crime. Crime was notably simple in the base game. A certain percentage of your unhappy citizens would take it out on the others, and without proper police coverage those unhappy people would drag down everyone else's happiness - thus you just made sure everywhere had a police presence and moved on. In After Dark, criminals are now jailed in stations, and then must be transported to prisons for rehabilitation. Thanks to the magically effective police and prison wardens of the Cities universe, once their sentence is served they never commit a crime again. Magic! Without a prison, however, the jailed criminals are eventually released and go back to the city to commit more crimes. It's not too much more complicated than the original game, but it's more of a minigame akin to providing proper healthcare and fire safety.